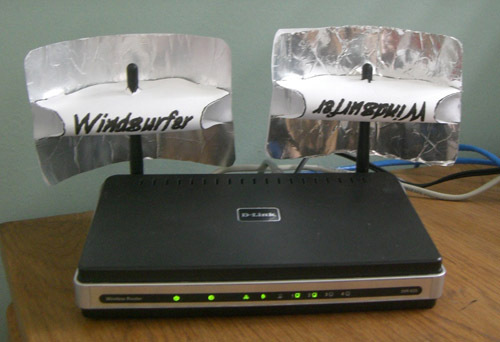 Is there an unsecured wireless network near you? 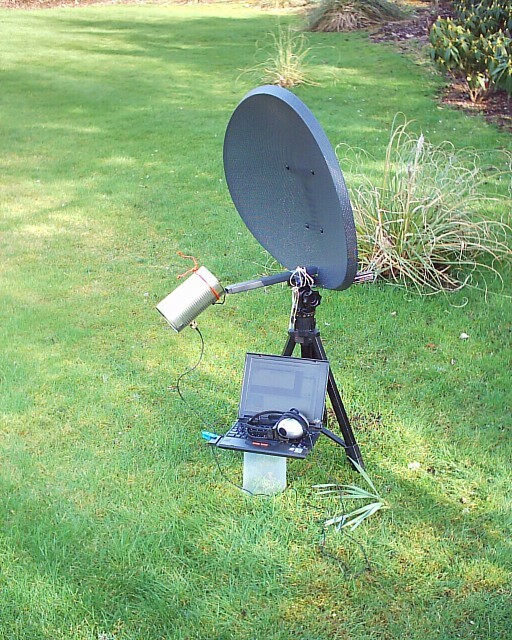 The typical range of a common 802.11b/g network with standard equipment is in the order of tens of metres. then these pages contain step by step, 'how-to' information on building and modding a variety of wireless antennas to achieve these goals. 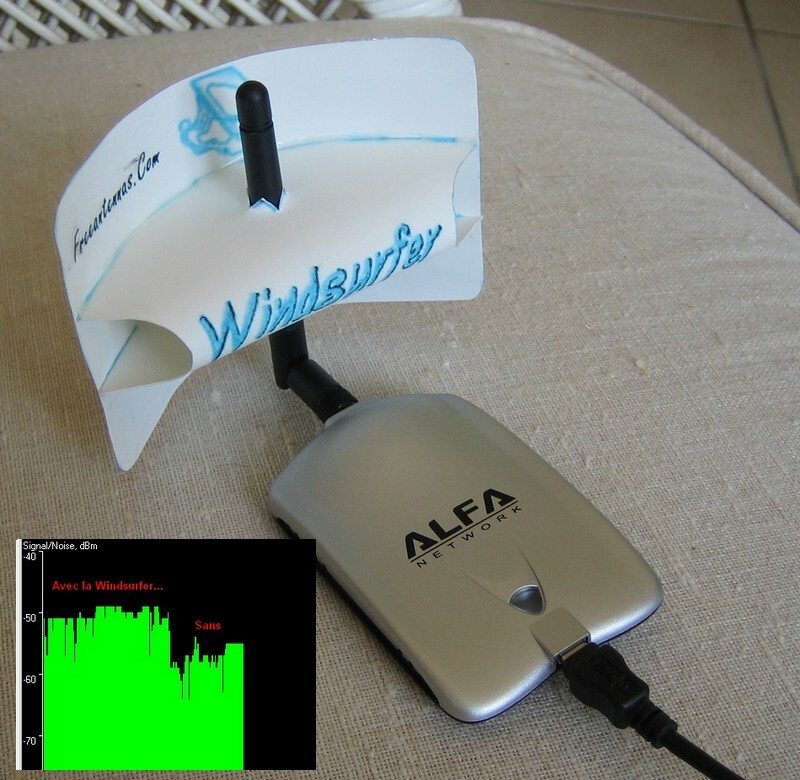 This parabolic reflector antenna, made with cardboard and foil, can increase your wireless reception by 6dB. 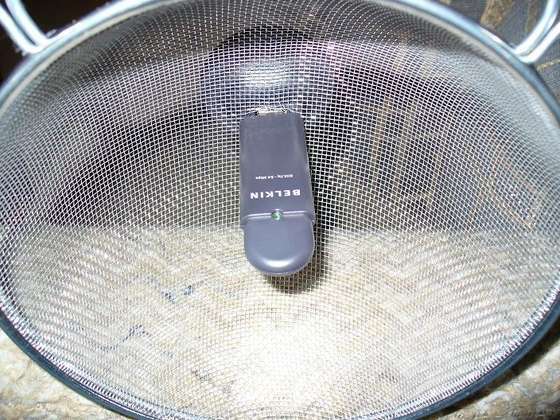 The performance of this reflector is comparable many commercially produced antennas. 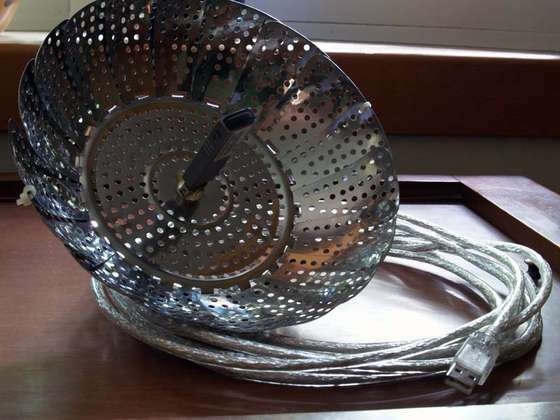 This simple to make dish antenna uses a USB WiFi adapter and a reflective dish made from a satellite TV dish, a kitchen wok, strainer or a sieve. 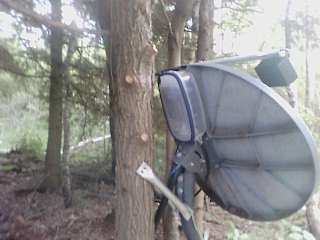 A dish or parabola can be used to concentrate radiation to and from a focus point. 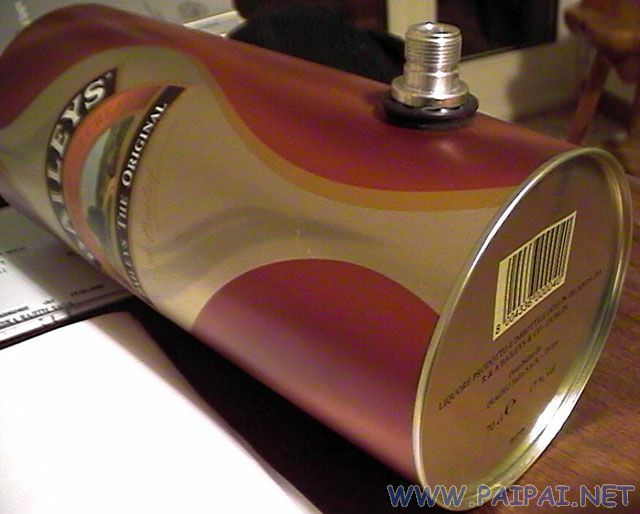 This is a directional antenna. 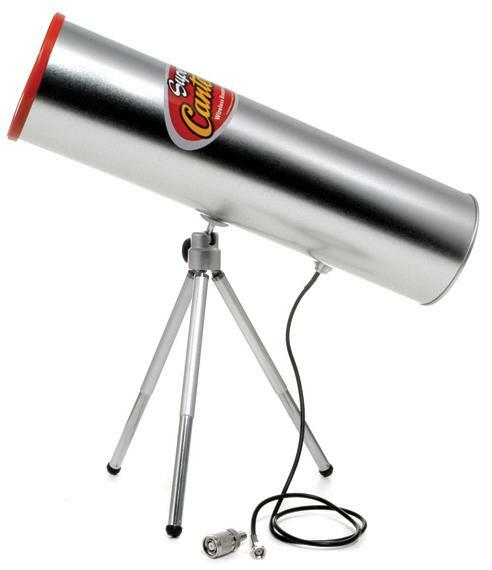 The waveguide antenna or 'Cantenna' evolved from the Pringle's can antenna. 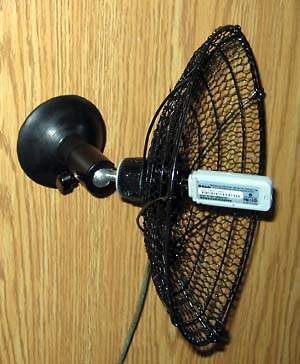 The Pringle's can, being cardboard, does not last well in the weather and is difficult to secure connectors to. 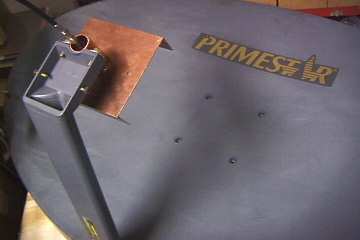 More importantly, testing shows that the waveguide cans work better! 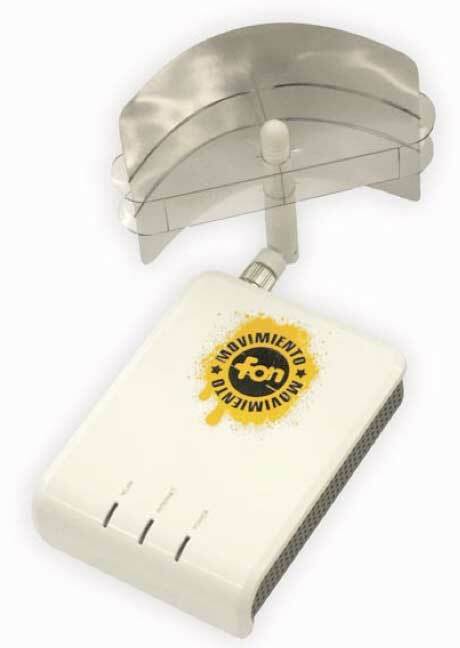 A simple yet high gain directional antenna can be made from a Sky, Primestar, Galaxy, Foxtel or similar satellite / parabolic dish. 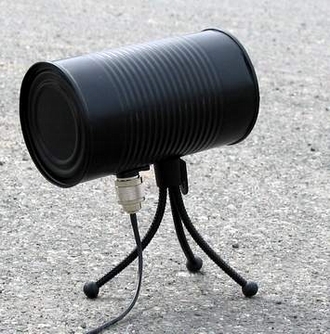 A similar commercially made dish antenna can cost upwards of $200!